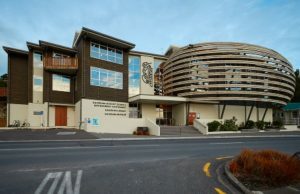 Located in the landmark “craypot” building, in Kaikoura’s West End, our award winning Museum offers a modern and relaxed environment with a contemporary and fun approach to telling the stories of Kaikoura’s natural, social and cultural journey. 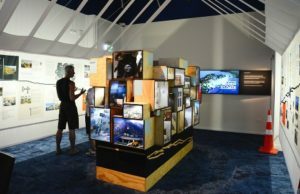 Through our impressive collections, exhibitions, events and programmes we bring to life the richness of our unique heritage inspiring visitors to explore and enjoy Kaikoura’s diverse and colourful history. Kaikoura Museum is conveniently located on the ground floor of the landmark ‘craypot’ building in Kaikoura’s West End. 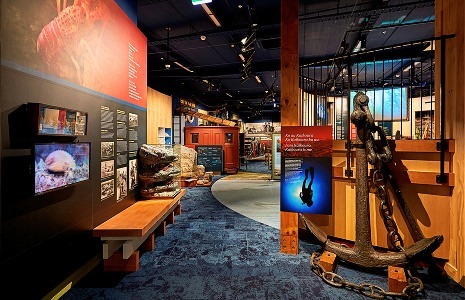 Kaikoura Museum’s long term display is uniquely presented in an awarding winning exhibition area which highlights the district’s fascinating connection with the sea. Kaikoura Museum regularly presents special exhibitions. See what exhibitions are currently showing and what events are coming up.